Our larger e-book packages are listed below. Use "Library Catalogs" in Scholar OneSearch to find all books, print and online, in our collections. See E-book Devices for help with your reader or device. Full-text, fully searchable, high-quality books in the Humanities from 19 learned societies, nearly 100 contributing publishers, and the University of Michigan's Scholarly Publishing Office. Stable links to books may be inserted into Blackboard. APA Books E-collection contains the full text of 80 books having to do with the behavioral sciences from the American Psychological Association. The Book Citation Index in Web of Science connects a library’s book collection to powerful new discovery tools, giving researchers the ability to quickly and easily identify and access the most relevant books. As a part of Web of Science, Book Citation Index allows users to search seamlessly across books, journals and conference proceedings to find the information most relevant to their work within one platform. Hundreds of medical texts and handbooks from Lippincott for students and researchers in the health care professions. Books and book chapter links (called "jumpstarts") may be inserted into Blackboard. Printing: Individual chapters and sections may be printed. Completely searchable full text of the 247 volumes in the Cambridge Histories series. Explore American and British history, ancient history, Islamic history, economic history, the histories of philosophy, science, music, literature, religion, social histories, and much more. "My Histories" allows you to create and share a personalized library with your own bookmarks and notes. Stable links to PDFs of books and book chapters can be inserted into Blackboard. The Collected Works of John Dewey, 1882-1953: The Electronic Edition is primarily a critical reading text that offers unprecedented access to Dewey's work. Virtually every work printed in England, Ireland, Scotland, Wales and British North America and works in English printed elsewhere from 1473-1700, with digital facsimile page images. Registration for an ebscohost account and Adobe Digital Editions are required if you wish to download complete eBooks to your computer or reading device. Mostly nonfiction ebooks from a variety of publishers. Look here for both popular and academic ebooks on education, psychology, sports and fitness, technology, and business. Formerly NetLibrary. Stable links to books may be inserted into Blackboard for reading online. Note that most books are limited to a single user and others may be limited to a few users. To download as an e-book: First create a free personal myEBSCOHOST account and download the free Adobe Digital Editions software. Compatible devices: Apple ios devices, Nook, Sony and other devices compatable with Adobe Digital Editions. Over 50,000 e-books for you to read using any web browser. Largely scholarly titles from leading academic and university presses. (View a list of participating publishers). Stable links to books and book chapters may be inserted into Blackboard. To download as an e-book to a device: You must create a free personal Ebrary account and download the free Adobe Digital Editions software. Printing: Print (including print to PDF) up to a chapter from your web browser. The LearnTechLib Digital Library is an online resource of peer-reviewed and published international journal articles and proceedings papers on the latest research, developments, and applications related to all aspects of Educational Technology and E-Learning. A collection of encyclopedias covering topics in the Arts, Biography, Business, Environment, History, Literature, Medicine, Multicultural Studies, Nation and World, Science and Social Sciences. Includes the Business Plans Handbook and the International Directory of Company Histories. The 96th Edition, 2015-2016, of the CRC Handbook of Chemistry and Physics is a vast almanac of facts, tables, and statistics about mathematics and the physical world. It is one of the most used handbooks in the sciences. The online version allows for expanded functionality over the print; in particular, interactive tables that allow you to customize data by filtering just what you need and sorting colunmns. You may search all text, tables, or CAS registry numbers, and export or email the information to yourself. A partnership between libraries to digitize and share their print collections, the Hathi Trust Digital Library offers chiefly text materials, such as books, documents, and journals. 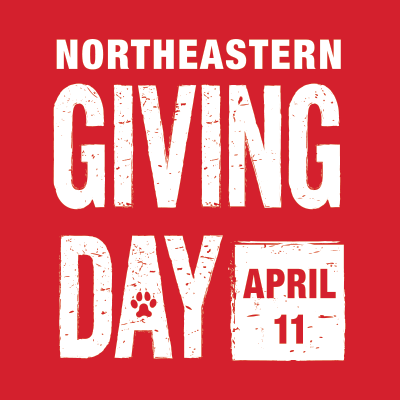 Northeastern University is a HathiTrust partner institution, and offers the ability to log in to Hathi Trust Digital Library to download full-PDFs of all public domain works, as well as works made available under Creative Commons licenses. Always log in, whether you are on- or off-campus, for the best results. Please library_ask [at] neu.edu (subject: Hathi%20Trust%20Question) (contact us) for information about text mining and access for users with disabilities. Researcher signs up at the HathiTrust website for access to either Sandbox (hosted) or API access. HathiTrust has also released a large extracted features dataset for download; that dataset only includes public domain volumes. Interactive ebooks and databases for scientific and engineering information. For certain properties there are specific chemical equations and digital graphs. Analyze data, sort, filter and export from 'live tables', resolve equations and plot graphs, capture values from existing graphs and perform 'What If' experiments. Download: Some book chapters and sections are in PDF and may be downloaded. Printing: Some book chapters and sections are in PDF and may be printed. The famous Springer series of texts and proceedings in computer science and related fields. Nanoscience and nanotechnology references and full text documents from CRC Press. Links to books may be inserted into Blackboard. Download to a device: Nanonetbase e-books are available as standard PDFs by chapter. Email or download to any device with a PDF reader. Printing: Standard PDFs may be printed. A specialized collection of 13 online encyclopedias in the field of global and economic technologies, including hospitality, travel and tourism management, consumer management, e-commerce, the digital divide and developing countries, and more. Supports research in the impact of technology on the management of cultural content and tourism. Formerly "Grove Art Online" this resource includes images, definitions, and analysis from Grove Art Online, the Oxford Companion to Western Art, Encyclopedia of Aesthetics, and Concise Oxford Dictionary of Art Terms. Comprises the full text of The New Grove Dictionary of Music and Musicians, second edition, edited by Stanley Sadie and John Tyrrell (London, 2001), The New Grove Dictionary of Opera, edited by Stanley Sadie (London, 1992), and The New Grove Dictionary of Jazz, second edition, edited by Barry Kernfeld (London, 2002) plus additional resources. Access to the 'Oxford Reference Online: Premium Collection', 'The Literature Collection' and 'The Western Civilization Collection'. Congressional Quarterly information in US government, politics, history, public policy, and current affairs. Includes CQ's Politics in America, as well as other almanacs, data, and news publications. Northeastern University has access to over 150 Project Muse Ebooks. Project MUSE is a leading provider of digital humanities and social sciences content. Collection of full text reference books and textbooks in pharmacy, nursing, and pharmaceutical sciences from key health science publishers. Fully searchable and includes A-Z drug and topic indexes. NU subscription currently includes eight selected titles. Stable links to books and book chapters can be inserted into Blackboard, although only 5 users are permitted access at one time. Online access to full text of 50,000 books and book series from Springer Publishing. While the strength of Springer publishing is in the sciences, including biomedical and health sciences, many disciplines are represented: business, economics, chemistry, computer science, earth and environmental science, engineering, law, mathematics, physics and astronomy, and the social sciences. English and German content is included. Download to a device: Springer e-books are available as standard PDFs by chapter. Email or download to any device with a PDF reader. Printing: Standard PDFs may be printed. Northeastern affiliates may use Springer's MyCopy service to order personal print-on-demand copies of the books for $24.95, a significant discount over the market price. Synthesis is an innovative information service for the research, development, and educational community in engineering and computer science. Synthesis includes 50- to 100- page dynamic 'Lectures' in an important research topic in engineering or computer science. Each lecture is a self-contained electronic book that gives more analysis and depth than typical journal articles. Access to Collections One through Four.